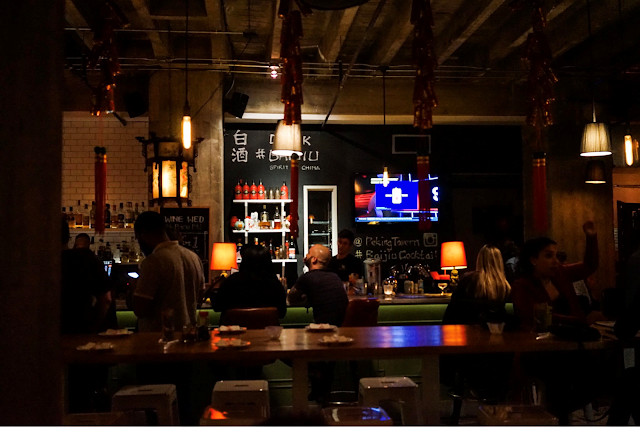 In the basement of a bank in downtown Los Angeles sits a Chinese gastropub. Peking Tavern serves street food that would be commonly seen in Beijing, hence the name Peking. Upon going down the stairs, you are greeted by the hostess. We were led to a table in the near empty dining room. There was communal seating in the middle of the room, which many people were flocking to as well as the bar area. The ambiance was very cool and bar-like but with a hint of Asian inspiration (minus the Kobe Bryant mural). 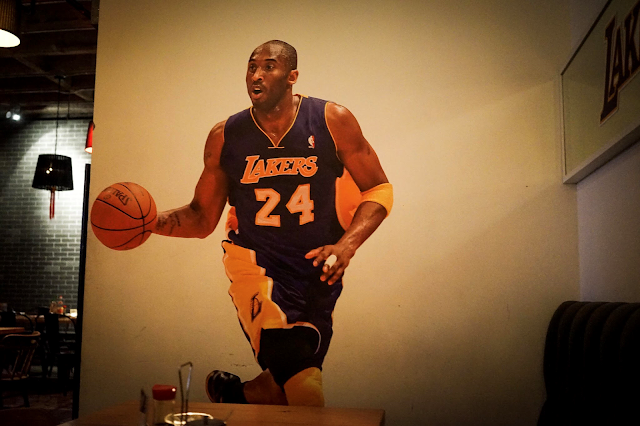 I did appreciate that they seemed to be all about LA; however, I was disappointed with the service. It took them 15 minutes to take our order and a good amount of time to get our food. Most of the time spent at the restaurant was waiting and not eating. MY FAVORITE DISH. 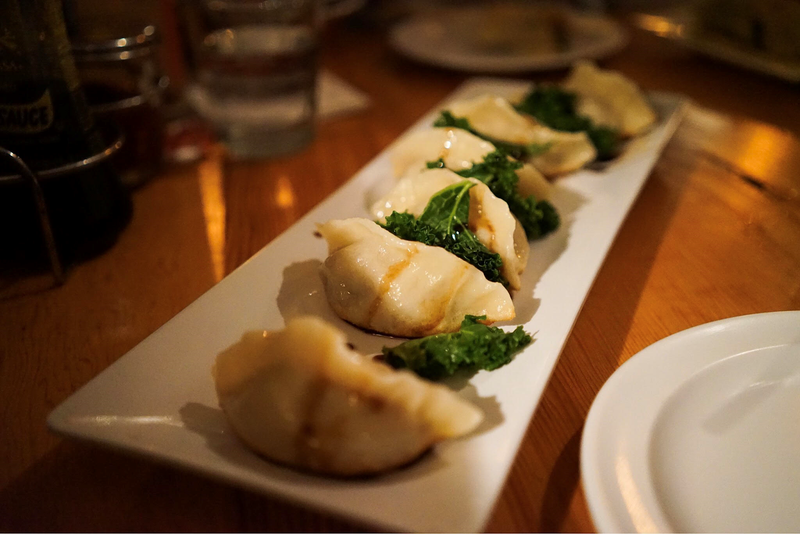 KOBE BEEF POTSTICKER ($13.50): Pan fried Kobe beef dumpling with reduced ginger vinegar glazing. I thought this dish was delicious. It had a crispy skin coating and the filling was moist and juicy. It was a bit different but in a good way with tons of flavor. It was similar to a pork dumpling but 10x better. 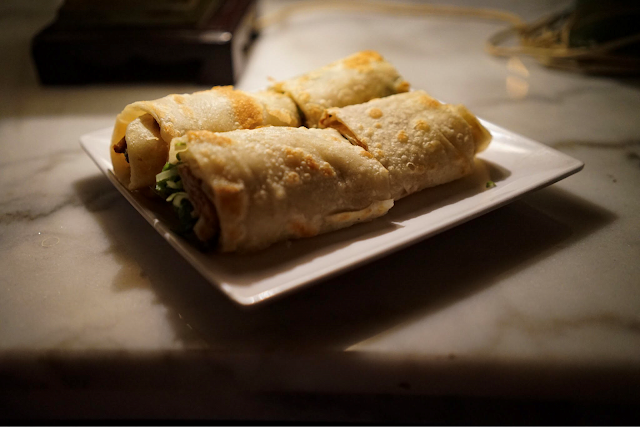 BEEF ROLL ($10.00): Sliced braised beef shank with cilantro, green onions, sweet and savory sauce in handmade wrap. I thought this dish was good but a bit dry. I didn't taste much of the sauce. The wrap itself is delicious. It was perfectly crispy with a chewy texture. It's worth a try. 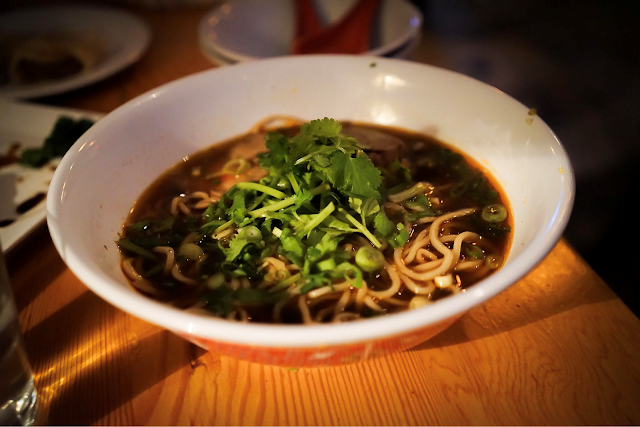 BEEF NOODLE SOUP ($9.50): Braised beef shank with fresh noodle, Chinese sauerkraut and cilantro. This was pretty good. I thought it had a lot of flavor but it wasn't the best noodle soup I've had. I did enjoy the noodles. I'm a noodle girl so any type of noodles I'm a fan of. 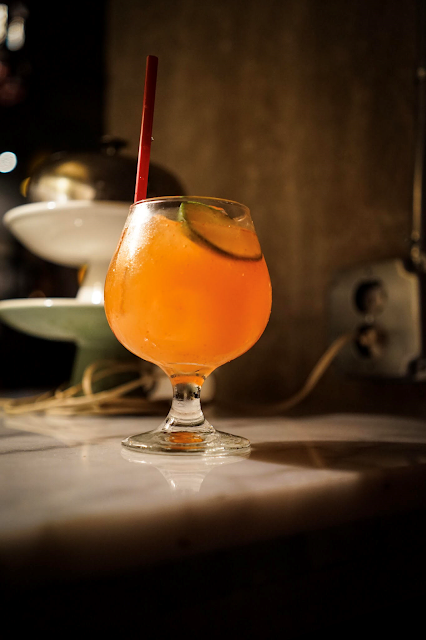 SPICY MANGO MARGARITA ($10.00): Tequila, Cointreau, Mango Nectar, Sriracha, Lime Juice. I loved my drink. I thought it was absolutely delicious. I could definitely taste the sriracha and the mango balanced out the spiciness. It's a great way to enjoy the meal. 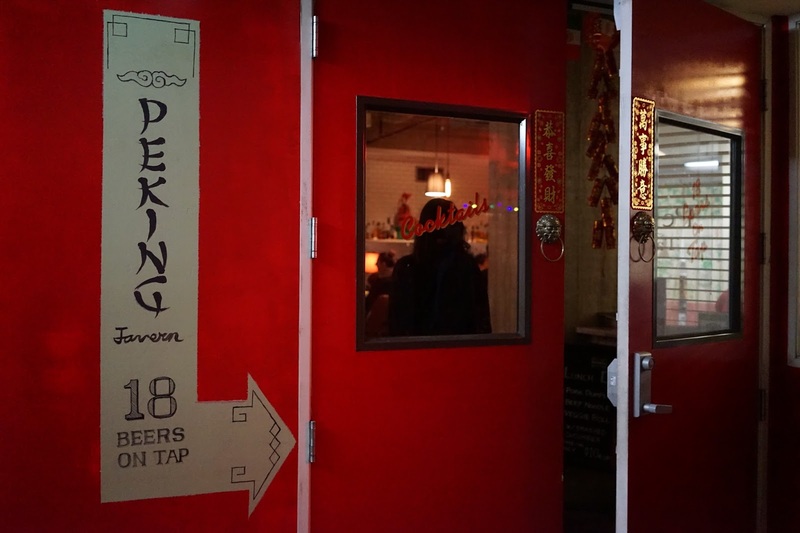 Overall, I thought Peking Tavern was just ok. I was mostly turned off by the wait time and the service. It seemed as though only two people were working the dining room for a Saturday night. Additionally, the food was good, but it didn't blow my mind. I did enjoy the potstickers and the drink. If they could improve on the service and improve on the other dishes, then maybe this place could be a hit. I'm often known amongst my friends as "Piglet Nancy." So, in reference to my nickname, I've created a Piglet rating system.